The night of the 2018 Point-in-Time Count occurs on January 31, 2018. This is when Charlotte-Mecklenburg counts the number of people experiencing homelessness in emergency shelter, transitional housing and on the streets. In 2017, that total was 1,476. The Point-in-Time Count helps communities like ours understand and describe the scope of homelessness on one night — the number and the characteristics. When we compare that number year over year and combine it with other performance data, we can better understand whether we are making progress in the work to end and prevent homelessness. There are a number of changes to the 2018 Point-in-Time Count — some are changes required by the United States Department of Housing & Urban Development (HUD) and some are changes initiated from our community. Each year, HUD issues a notice to outline required changes to data collection for the Point-in-Time Count. This year, one major change is the way that domestic violence information is collected. To read more about this change and to understand how Charlotte-Mecklenburg and other communities are responding, check out this article published on Jan 19 by The Pew Charitable Trusts.  Charlotte-Mecklenburg has also made local changes to the surveys in order to gather information that can better inform solutions for housing. Recognizing the tension between the burden of answering private and sensitive questions and the value of data to inform solutions, the Point-in-Time Count Steering Committee and providers across the homeless services spectrum provided input on survey questions. New questions cover income, perceived barriers to housing, family separation and specific questions directed toward youth. The survey is not required and is not linked to services. In addition to adding new questions, this year Charlotte-Mecklenburg is surveying the full Point-in-Time Count population. Before 2018, any non HUD-required questions such as whether a person was from Charlotte-Mecklenburg or new to the community was asked with the population experiencing homelessness outside, which is only 15% of the overall count. By surveying everyone, the data we collect will be representative of the full population — sheltered and unsheltered, families and single adults, veteran and people experiencing chronic homelessness. The data collection effort began on Monday, Jan 15 with volunteers at the Men’s Shelter of Charlotte and Salvation Army Center of Hope. Most of the people experiencing homelessness in emergency shelter and transitional housing (1,261 people were counted in 2017) are in these two shelters. By starting early, we are able to survey people in both shelters during the course of two weeks instead of completing it at one time on one night. Starting on Monday, Jan 22, volunteers will also complete surveys at the YWCA. Volunteers will finish the sheltered count with shifts at the Salvation Army Center of Hope, Men’s Shelter and Room In the Inn on Jan 31 and Feb 1. In addition to volunteers, staff also complete data entry and conduct surveys with the residents staying in their emergency shelters and transitional housing facilities. Coordinating with the HMIS Administrator, Mary Ann Priester, staff run census reports to determine their counts and ensure data is accurate and correct. The second part of the Point-in-Time Count focuses on the population experiencing homelessness outside, including the streets, parks, cars and in others places unfit for human habitation.  Volunteers will go out into all parts of Mecklenburg County on the night of Jan 31 and the morning of February 1 to complete surveys. These volunteers are organized into teams, each with a team lead. Additional support is provided by Charlotte-Mecklenburg Police Department officers, who dress in plain clothes and attend as part of the team. Between Monday, January 15 and Thursday, February 1, volunteers will cover over 80 shifts, completing surveys with people experiencing homelessness in emergency shelter and transitional housing. Staff will complete surveys, enter data, and create reports to determine the full sheltered census on the night of January 31. Data will be reviewed, cleaned and analyzed, comparing the final data set to reports in the Homeless Management Information System (HMIS), and the Veteran and Chronic Homelessness registries. The Point-in-Time Count would not be possible without dedicated volunteers and staff. We are also grateful to the people we count, who are willing to provide answers to personal questions while in the midst of the trauma of homelessness. The results of the Point-in-Time Count reflect the work of more than 250 volunteers and staff with over 1,000 people who are experiencing homelessness in Charlotte-Mecklenburg, and the power of a conversation. These conversations result in survey data that can inform housing solutions moving forward. The next step is to use the information that we collect to make those housing solutions a reality. Rebecca Pfeiffer (City of Charlotte) leads the Sheltered Count and Allison Winston (Urban Ministry Center) leads the Unsheltered Count. Mary Ann Priester (Mecklenburg County) oversees the data that is collected. There are additional survey slots still available, which can be viewed here. Courtney Morton coordinates community posts on the Building Bridges Blog and serves as project manager for the Point-in-Time Count. Courtney is the Housing & Homelessness Research Coordinator for Mecklenburg County Community Support Services. Courtney’s job is to connect data on housing instability, homelessness and affordable housing with stakeholders in the community so that they can use it to drive policy-making, funding allocation and programmatic change.